Top Rated English Tutors in Phoenix, AZ! Welcome to Phoenix’s top-rated private English in-home tutoring service! 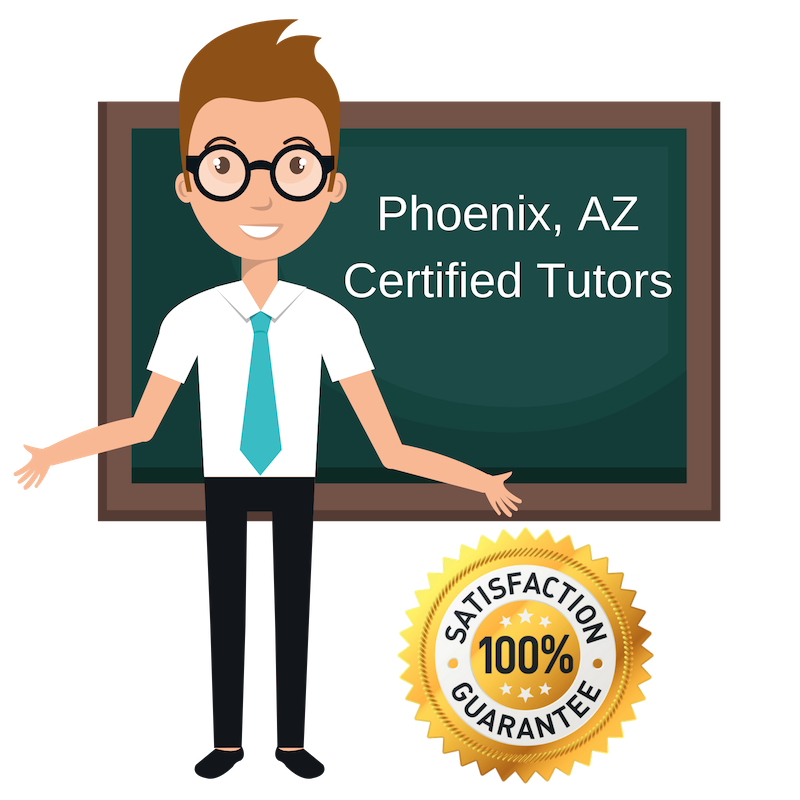 All of the following Phoenix English tutors are certified by Varsity Tutors, the leading tutoring agency in the country! All Phoenix English tutors have been background checked, been interviewed, had mock English tutoring sessions, and been trained by professionals. We guarantee you will love your local Phoenix English tutor or your money back! Get information regarding a top-rated English tutor today! I have been teaching in Arizona for over ten years. I am certified to teach kindergarten up to twelfth grade. I enjoy helping students overcome their struggles, especially in English. My strengths include decoding skills, emphasizing sight words, phonics, and reading comprehension. I welcome any student to work with me and really enjoy tutoring English. No matter the skill level, I am dedicated to helping each student succeed and overcome their challenges. My teaching experience includes elementary students to adults. My Master’s degree is in Elementary Education. Beyond the classroom, I also teach English to adults. I tutor English in Phoenix and enjoy helping each and every one of my students conquer the language and better understand its structure. Outside of tutoring, I love to read and bike. I have a passion for the English language. This led me to pursue a Bachelor’s degree and a Master’s degree in English Literature. While in school, I tutored students and realized how much I enjoyed it and how effective I was. I not tutor English to students in the Phoenix area. Communication and writing are great skills I want to help students further develop, as well as reading comprehension. English often isn’t given enough attention in school and I want to help make up for that. Outside of teaching, I love to practice yoga, go on hike, and spend time with my dogs. I am excited to tutor English in Phoenix after spending seven months Teaching English in Peru. I moved to Peru after earning my undergraduate degree and it was an amazing experience and showed me how valuable teaching and tutoring can be. I enjoy meeting new students and working with them on language acquisition. I studied pre-med in college, but have always had a passion for English. English is an amazing language, but it can be challenging for many to learn. I am fortunate to have the opportunity to tutor English to students in Phoenix and help them get a better command of the language. I have taught English at high schools and colleges for many years. My passion for the language and the subject never waver. I work with students to better understand all of the nuances of English. Language and literature skills are crucial for students.